Are You Self Sabotaging Your Efforts to Success? Men, have you ever reached a goal to only lose it all and wonder what in the heck happened? What’s happening is you’re self sabotaging your efforts. We often self sabotage our efforts and don’t even realize it. 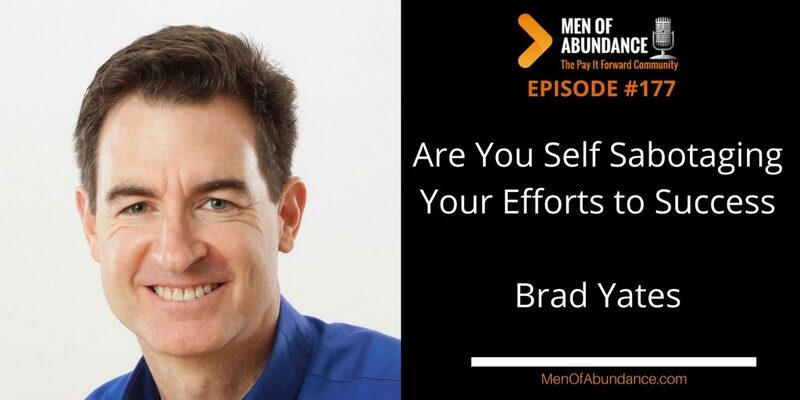 Today, Brad Yates shares with us a very unique and effective way to break through to your goals and beyond. Brad Yates is known internationally for his creative and often humorous use of Emotional Freedom Techniques (EFT). 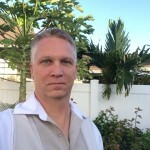 Brad is the author of the best-selling children’s book “The Wizard’s Wish,” the co-author of the best-seller “Freedom at Your Fingertips,” and a featured expert in the film “The Tapping Solution”. He has also been a presenter at a number of events, including Jack Canfield’s Breakthrough to Success, has done teleseminars with “The Secret” stars Bob Doyle and Dr. Joe Vitale, and has been heard internationally on a number of internet radio talk shows. Brad also has over 700 videos on YouTube, that have been viewed over 17 million times, and is a contributing expert on the Huffington Post. This technique may be way outside your wheelhouse. And here’s the thing, as I mentioned in the conversation, those who are where you want to be in life are doing something you’re not. If this is it, than maybe you should at least give it a try for a few months.